I just love this car seat cover from Key West Merchants. This is perfect to keep baby protected. I know it’s summer now and we are not as worried about it, but winter will soon be here again and you are going to want to make sure baby is well protected from the elements when they are in their car seat. 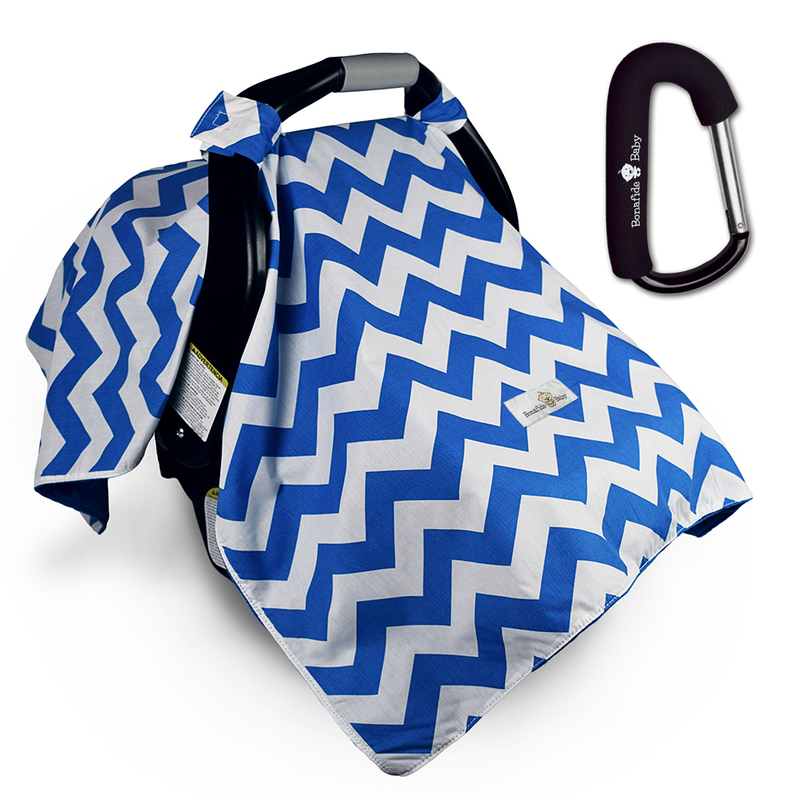 This one is super cute, it has a chevron blue & white design which I really like. It covers the car seat well, I like to tuck mine in on the edges just to keep cold air out. It has some velcro straps to secure it to the handle of the car seat so it won’t fall off. It’s super soft on the inside so it feels great on baby’s skin. Really well made, reinforced stitching so it’s not going to tear or unravel. It comes with a giant stroller hook as well which is really nice. Covered in foam and really durable. Includes Free Stroller Hook – A $10.95 Value – Clips To Strollers, Shopping Carts & More To Hold Purses, Diaper Bags, Shopping Bags, Etc. You can purchase this cover on Amazon!